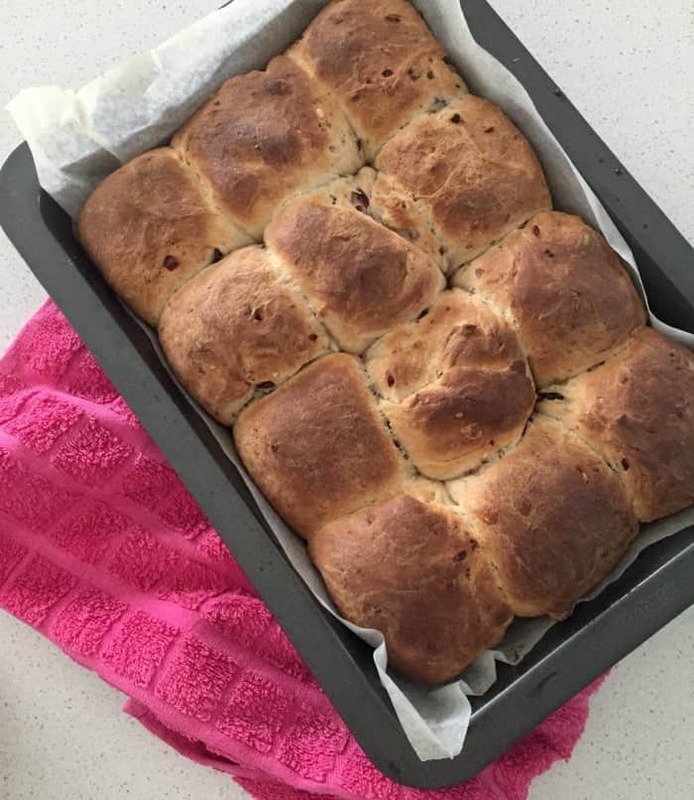 Since making Hot Cross Buns in my Thermomix, I’ve been having a little fun experimenting with different flavours. 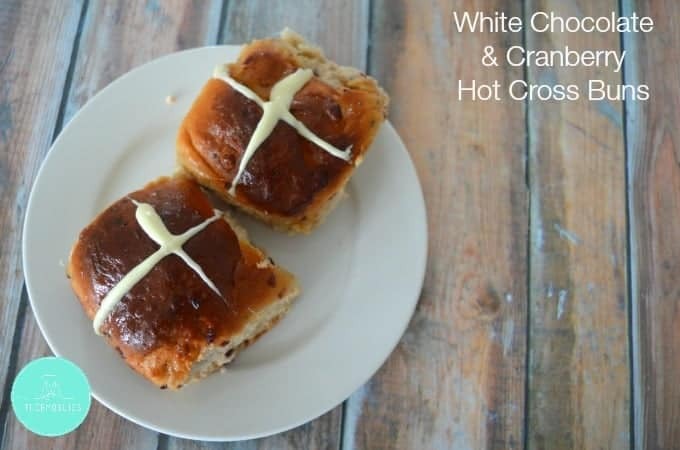 So far these White Chocolate and Cranberry Hot Cross Buns are up there with being the most delicious Hot Cross Buns I have ever tasted – a big call I know! 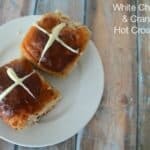 My favourite thing about this recipe is the way the white chocolate pieces begin to melt into the bun which creates a deliciously sweet and soft treat. Have I convinced you yet? 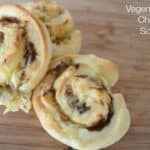 What are you waiting for – make these today! 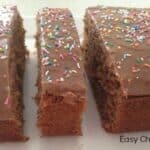 Break 100g of white chocolate into squares and place into your thermomix bowl. Blend for 5 seconds on speed 5 or until it's roughly chopped (time may vary due to the temperature of your chocolate). 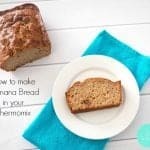 Pour into a separate bowl and set aside. Place the yeast, 2 teaspoons of the sugar and all of the milk into your thermomix bowl and cook for 2 minutes on 37 degrees, speed 1. Leave yeast mixture in bowl whilst you move onto the next steps. Lightly oil a large bowl and set aside until needed. Line a 23cm cake tin with baking paper and also set aside until needed. Add the flour, cinnamon, egg, butter and remaining sugar into the thermomix bowl. Mix for 15 seconds on speed 7 or until all ingredients have combined. 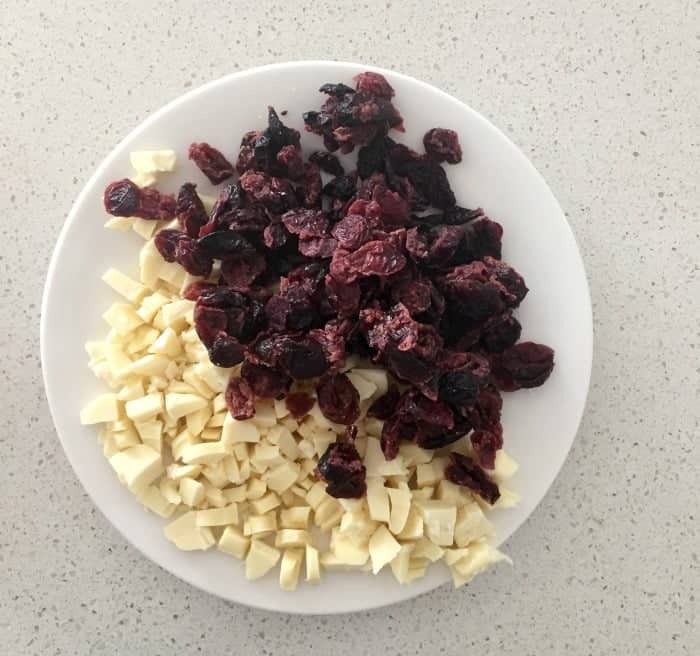 Add the craisins and whopped white chocolate to the bowl and combine for 3 minutes using the kneading function. Place the dough into the prepared oiled bowl, cover with a tea towel and sit in a warm place for around an hour or until the dough has doubled in size. 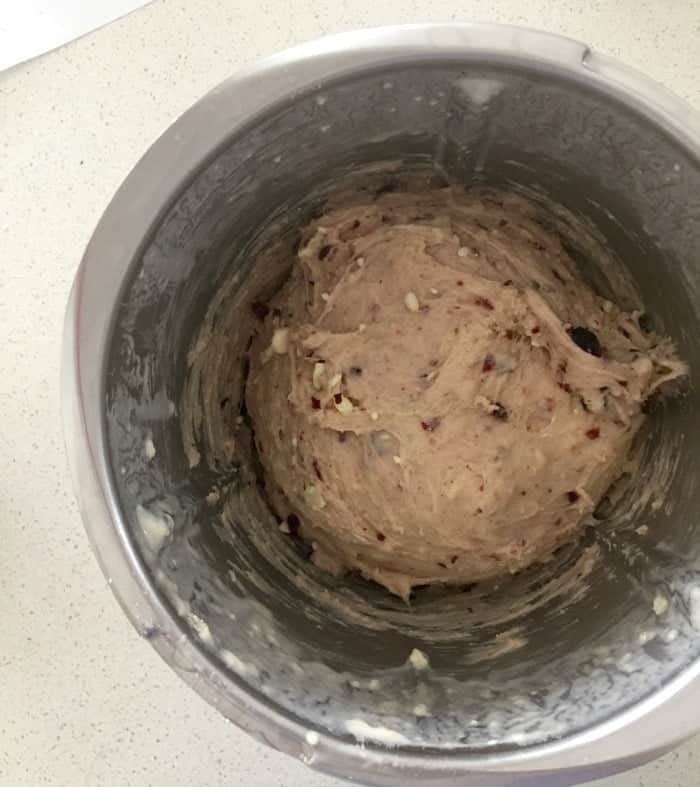 Remove the dough from the bowl and divide into 12 equal pieces before rolling into balls. 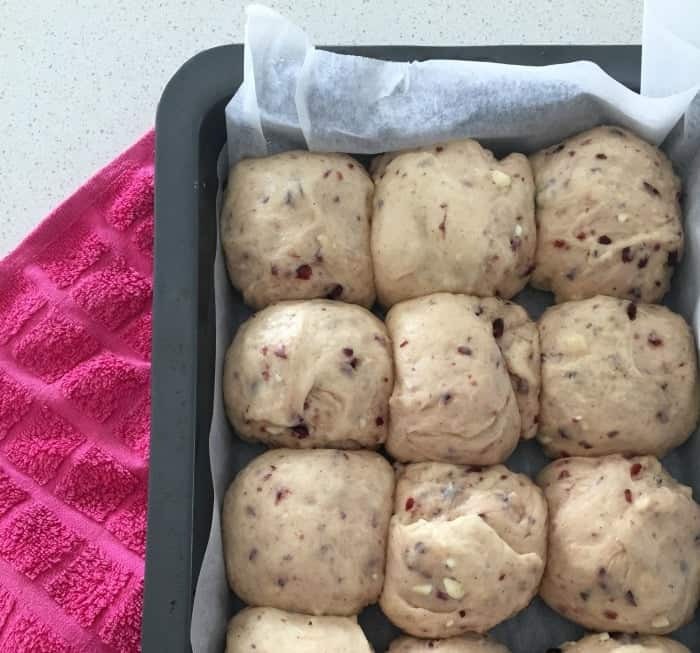 Place the dough balls into the prepared cake tin, cover with a tea towel and place the tin in a warm spot for another 30 minutes to allow the dough to again rise. 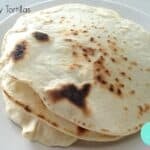 Once the dough has risen, place the tray into the oven to bake for 20 minutes, or until the buns are golden brown and spring back when touched. To prepare your glaze, place the apricot jam and water into a small bowl and heat in the microwave for 30 seconds before mixing to combine. 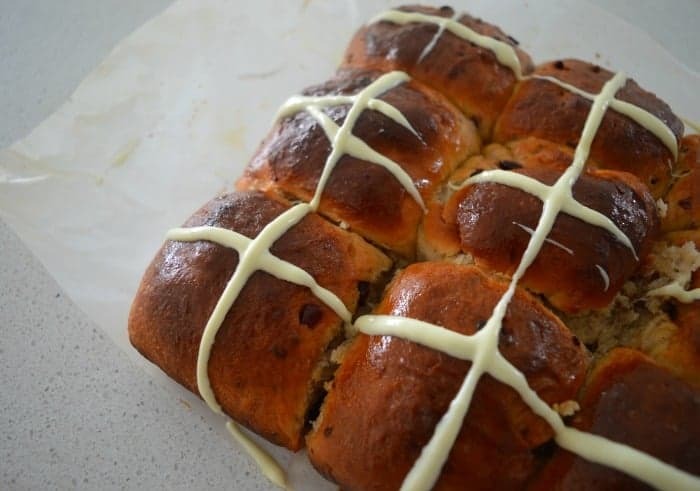 Brush the glaze over the still hot Hot Cross Buns before carefully transferring the buns to a wire rack to cool. Once the buns have completely cooled, melt the remaining 100g of white chocolate and place it in a piping bag before piping the crosses onto the top of each bun. 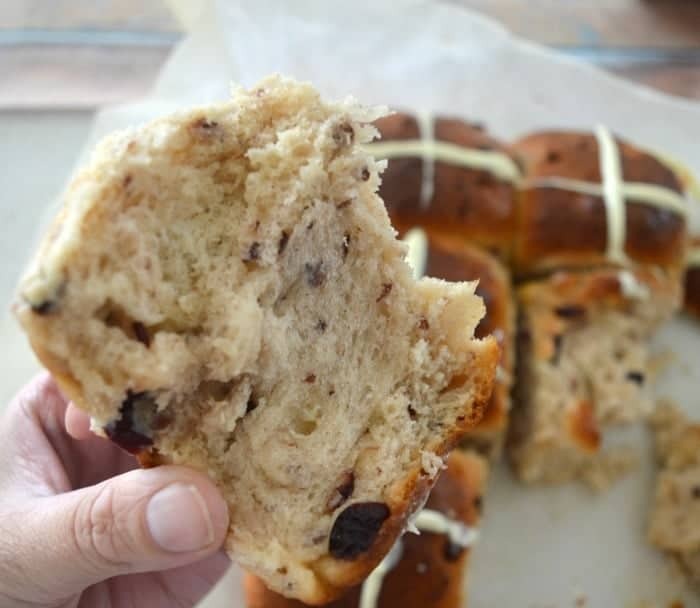 What is your favourite Hot Cross Bun flavour?